This speedway was a 1/4 mile track that opened in September of 1953 in Utahville Pennsylvania. 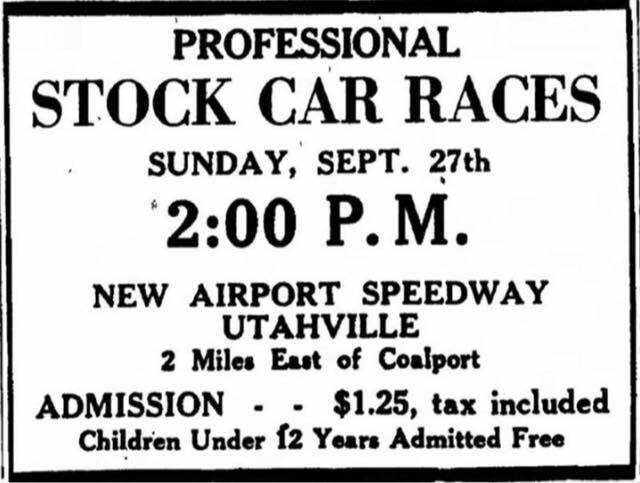 The speedway was built by a group formed in an effort to promote asphalt and dirt tracks, Utahville's track was concidered there first and only track, The track then closed in October of the same year, just one month after its opening. The land was later used for hosting gun competitions and for a shooting range, nothing remains today except for half of the track's outline.